Want to see the sun? 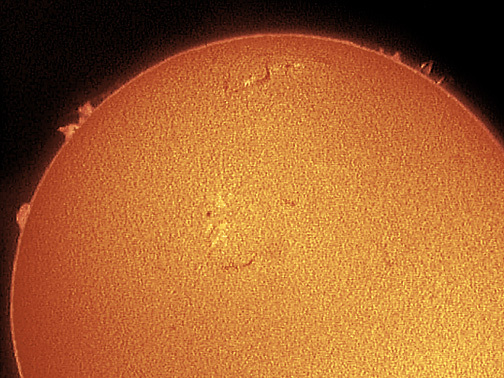 Our team of solar astronomers love to share breath-taking viewing of our closest star, the sun! We have special telescopes designed to look at the sun safely so you don’t have to worry. 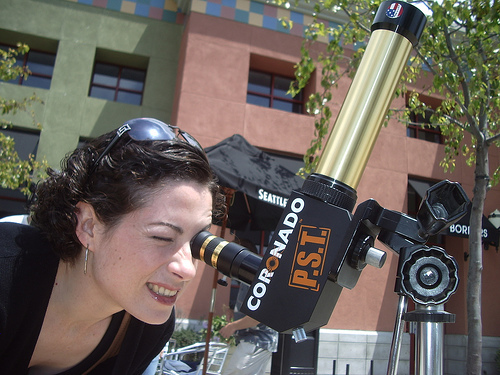 Come one hour before sunset at a Monthly Star Party, and you’ll be able to participate! There will be dedicated solar telescopes available to observe sunspots, flares, prominences, coronal mass ejections and other wonders of the sun in a safe, controlled environment. This is one of our most popular daytime events that we hold. Solar viewing is not just for eclipses and transits! It’s for appreciating the wonder and joy of the life that the sun gives us everyday. And also a peek at the baffling internal workings of a star that we don’t fully yet understand. By studying the sun, we’re able to figure out what drives the behaviors of distant stars. If you’ve never seen the sun through a telescope, you really have to take a look. Astronomers have h-alpha and optical telescopes in addition to radio telescopes and tips on how to make a home-built solar viewer from scratch.